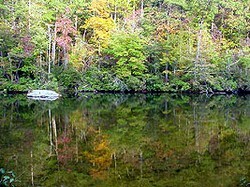 The Nature's Classroom facility is located in a beautiful bend of the Little River on Lookout Mountain in Mentone, Alabama. 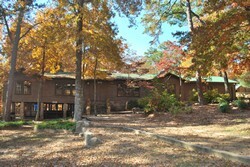 During the summer months, Nature's Classroom's facility is the home of Riverview Camp for Girls, one of the south's premier residential summer camps. 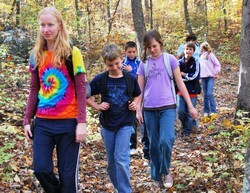 An open air gymnasium, rustic cabins, grassy fields, scenic trails, and majestic rock formations along a gorgeous river all make Nature's Classroom the perfect setting for learning in the outdoors! The eight smaller cabins sleep 16-20 each. All cabins have their own bathrooms/showers, and are seasonally winterized/heated from October to April. The four larger cabins sleep 24-50 each. 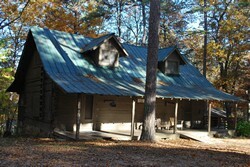 All cabins have their own bathrooms/showers, and are seasonally winterized/heated from October to April. 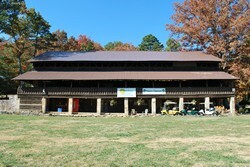 The spacious dining hall seats 250+ and also serves as an indoor instructional area for classes and some large group activities. 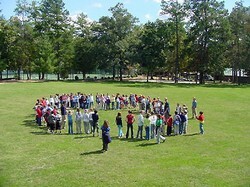 The open air basketball gym includes a stage and also serves as a covered instructional area for classes, field group activities, and some large group or evening activities. Wooded hiking trails wind through a diverse ecosystem providing many plants, trees, and rocks for participants to learn to identify. Grassy activity fields provide the perfect place for active games, team building initiatives, and star gazing during Night Hike. 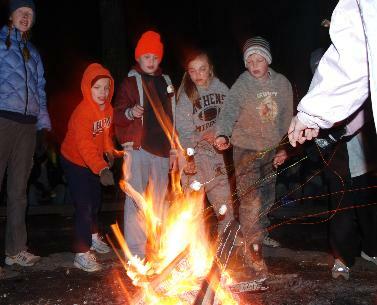 Weather permitting, every evening concludes with stories and a snack at one of the campfire circles. 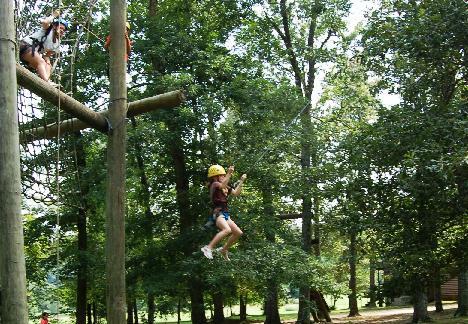 Some groups choose to add one or more elements on the high ropes course as an Adventure Option. 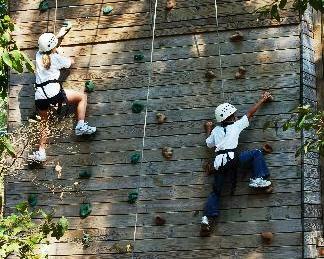 * High ropes course options include: Pamper Pole, Swing by Choice, V-Swing, and Zipline. *Adventure Options require an additional $10 per person, per event for the additional cost of providing these activities.